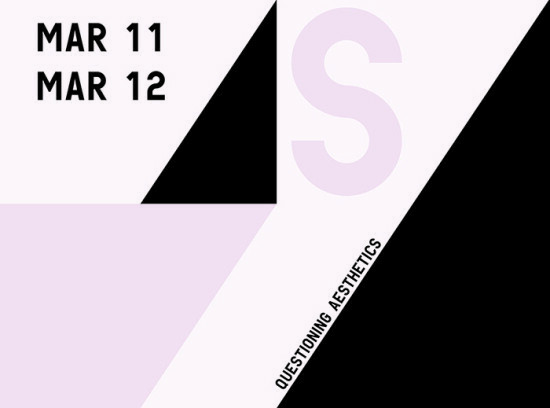 RISD, in conjunction with the Transdisciplinary Aesthetics Foundation, is hosting a public symposium, ‘Questioning Aesthetics’ on March 11th and 12th, 2016. Events will be held in the Old Library and Chace Center. The symposium, part of an ongoing national and (in the future) international series, is an opportunity for the RISD community to come together and critically examine the nature and ramifications of art and design practices. Eighteen speakers, both artists and scholars, will convene to discuss topics ranging from aesthetics and ethical making, feminist aesthetics, aesthetics of performance to aesthetics and law. It is a ticketed event (free admission) but registration is required (see link below). You can register and find program and speaker biographies at the Digital Commons website here. More information on the Transdisciplinary Aesthetics Foundation can be found here.